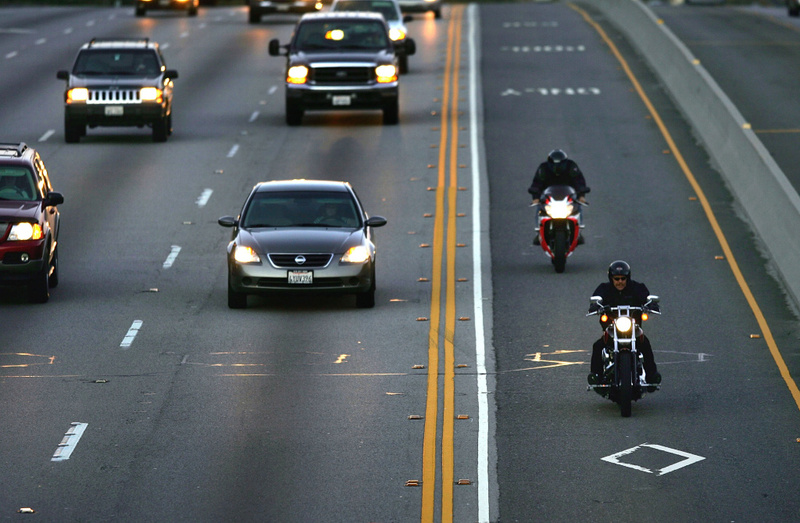 Do you know the difference between lane sharing and lane splitting in Southern Maryland? Both lane sharing and lane splitting in Southern Maryland present certain dangers, but according to the law, only lane splitting is considered illegal. Do you know what the difference between the two is? This can affect or not your chances of recovering compensation for your motorcycle injury. To help you with all the legal matters it is advised to get the help of a personal injury lawyer from Sothern Maryland. The traffic law in Maryland states that two vehicles can share the same lane only if their size allows it. This means that two motorcycles may be on the same lane side by side. But, even though this is allowed by the law, it is still dangerous so you should avoid doing it if possible. Lane splitting refers to the situation when a motorcycle rides directly between two cars that are in adjoining lanes. Your Southern Maryland knows that this attempt of passing through is illegal and puts in danger the life of the motorcyclist as well as the passengers in the other two vehicles. Many people don’t know what to do if they get injured while they were line splitting or sharing. That is why having a Southern Maryland injury attorney by their side will help them better understand the law and how to take advantage of it. If you got injured while lane sharing, as it is legal you will probably receive compensation. But even so, the insurance companies still try to lessen the settlement because of the dangerous situation the driver put themselves in. You can ask your personal injury attorney from Southern Maryland to contact your insurance company and get you the best deal possible. On the other hand, lane splitting is illegal and because of this, your motorcycle injury claim will be weakened even if you have the best personal injury lawyer from Southern Maryland by your side. In addition to this, the insurance companies will not want to settle even if you were gravely injured. Your Southern Maryland injury attorney can try to get you a partial motorcycle injury competition but the chances of that happening are extremely low. In addition to this, your personal injury attorney from Southern Maryland will tell you that you are obligated to use your headlight during the day. If you’ve been injured in a motorcycle accident, to help you with your case and to deal with the insurance company you can contact the best personal injury lawyer from Southern Maryland at (443) 569-3950 or write an email at [email protected].